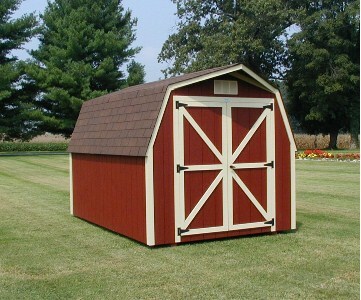 Approximate overall height – 9 ft.
All of our pricing on Storage Sheds, Outdoor Buildings, and Barns include delivery and setup at your home. We delivery to the following areas: Brentwood TN, Franklin TN, Nolensville TN, Spring Hill TN, Mt Juliet TN, Hendersonville TN, Nashville TN, Murfreesboro TN, Smyrna TN, Belle Meade TN, Gallatin TN, Goodletsville TN, Antioch TN, Bellevue TN, Springfield TN, Clarksville TN, Fort Campbell, Franklin KY, Bowling Green KY, Southern KY, Middle Tennessee, and More! We deliver all over Middle Tennessee and Southern KY.